Success leaves clues. Why not learn from the master salesman, God! Many people can get stuck in their sales careers, feeling condemned when sales are down, but there is a difference between condemnation and conviction. This book will condition you to master your emotions and live victoriously through the conviction of God’s word to inspire you to become the best version of yourself. Eighty percent of success is psychological, and 20% is technical. This book delivers both! Do you see someone skilled in their work? They will serve before kings; they will not serve before officials of low rank. Proverbs 22:19 Can you trust in the process rather than in your feelings? Are you disciplined to practice the right techniques when you don’t feel it? Do you know how to prospect and execute a sale intentionally? Or do you let the economy dictate your results? 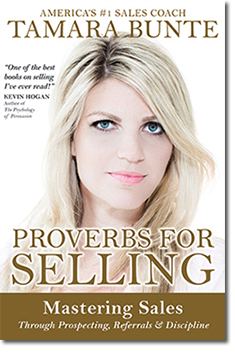 Learn this and much more… Use the wisdom of the greatest book ever sold to transform your sales career. Master the science and art of sales—a must-have manual for success. Implement new techniques that lead your prospect to want to buy. Avoid the 7 deadly sins that every salesperson can easily fall prey to. Follow the rules of the game and eliminate self-doubt. Master Sales Coach Tamara Bunte advises and consults with Fortune 500 Companies, Executives, Managers and Sales Professionals in the areas of Peak Performance, Leadership, Organizational Behavior and the Psychology of Achievement and Sales. Over the past 15 years, she has excelled in the world of coaching, inspiring people at all levels to become the best version of themselves. Tamara is the founder of The Institute for Advanced Results, LLC and the foundation Focus on the Good. She is a Master Trainer of Neuro-Linguistic Programming (NLP), Certified Master Trainer of Hypnosis, National Keynote Speaker, Time Line Therapy, Peak Performance Coach, Health Minister, Ordained Minister, Dale Carnegie Instructor and Former Top Trainer for Anthony Robbins. Tamara has influenced hundreds of thousands of people with her inspiring sales presentations, CDs and book. She’s positively changed the lives of sales professionals, taking them from being order takers to trained sales professionals. Booksellers & Libraries! Order directly through Pearhouse Press, Inc. 412-244- 8698 or mike@pearhousepress.com. This vital, in-depth guide will transform anyone ready to journey to the depths of themselves and surface with new work that fills the wallet and feeds the soul. These time-tested Seven Evolutionary Tools will uncover a new view of yourself, your work and your business choices — and reveal the internal obstacles to your success. This book is for anyone looking for more passion in their work and businesses eager to leap beyond the status quo. 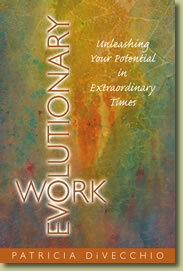 So roll up your sleeves and join author Patricia DiVecchio on this engaging evolutionary journey. Patricia DiVecchio, President and Chief Visionary Officer of International Purpose, has over 25 years of experience working with individuals, small businesses and organizations in their evolutionary process to higher levels of work purpose and potential. 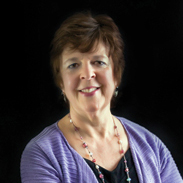 Through her dynamic Coaching and Purposeful Business Circles/Tele-Circles, Patricia helps individuals to identify and leverage their unique skills and talents, small businesses to evolve their work and organizations to align with people, profit and planet. Patricia holds an M.A. in Human Resource Development from George Washington University and a B.A. in Education from the University of Pittsburgh. She has spoken at international conferences, and her initiatives have taken her to Senegal, Germany and other worldwide forums. Take a short trip through the mind of one of the most entertainingly bright writers of the 20th century. 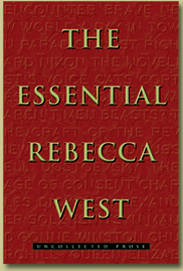 This selection of previously uncollected prose by Rebecca West, with its dazzling show of verbal and philosophical mastery, shows why West is still the secret weapon of newspaper editors, intellectuals and raconteurs the world over. Wielding a pen that&#39;s as savage as it is brilliant, in these pages West has something genuinely original to say about love, war, pride and politics. Her insights throw new light onto great literary and political figures such as Aldous Huxley, Bertrand Russell, Winston Churchill and Richard Nixon. She thrashes a new path through the thorny thicket of feminism. She takes you on a truly bizarre excursion to wartime London. She even has something surprising and memorable to say about cats. In all, this wide-ranging, eclectic collection from a woman who has been called the finest of her generation is pretty much guaranteed to make you feel and sound smarter. 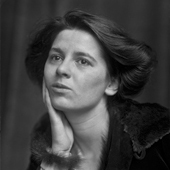 Rebecca West was a London-born journalist, novelist, reviewer and essayist who brought a powerful feminist voice to the 20th century. Her greatest work, “Black Lamb and Grey Falcon,” an investigation into the nature of war and history structured around a tour of pre-War Yugoslavia, was listed among the most significant books of the 20th century. Time hailed her as “the world’s number one woman writer,” and she was made Dame of the British Empire in 1959. Several of her novels have been adapted for film, TV and radio, including “The Return of the Soldier,” “The Birds Fall Down,” and “The Fountain Overflows.” Her powerful journalism skills made her the writer New Yorker editor Harold Ross trusted to cover the Nuremberg Trials of Nazi war criminals. This book is about much more than just how to reduce workers’ compensation costs. It is an excellent review of the history of the workers’ compensation program in our society and how it impacts business, employees, and the general welfare of our communities. The book is a lot about the process, with vivid stories about outcomes of specific cases. It should be a must-read for anyone starting any enterprise resulting in the employment of another person. Additionally, the information in this book will be a great review for employees of any existing enterprise who either have responsibility for the actions of others or aspire to assume such duties in the future. Managing workers’ compensation costs should be as important to a company as any other cost. One could argue they are even more important because of the pain and suffering that accompanies such injuries and costs. However, it’s not just the very observable medical cost or the disability compensation — it goes much further. You lose productivity, your and your employees’ attention are taken away from the work of your company, and poor handling of injury cases results in poor morale and a diminished reputation of your entire enterprise. The short of it is, nothing good can result from not being on top of this issue at all times! Bob Crumley is an attorney and a serial entreprenuer, and has been an executive in government and in private businesses. As the founder of a large personal injury law firm that has handled thousands of WC cases against companies, Bob is uniquely positioned to explain to business owners how to keep him and other lawyers out of their business and pocketbook.